Survivor: Tocantins features an exotic location that proves to be one of the most rugged locations ever visited. 16 castaways find themselves stranded in the sweltering interior of Brazil for 39 days, with only the Rio Novo River oasis available to them as a sanctuary. Divided into the Jalapao Tribe and Timbira Tribe, the castaways are a diverse group: a school principal; a former pop star; an entrepreneur; an army sergeant; a self-proclaimed dragon slayer; and future Blood vs. Water castaway, Tyson. Based on first impressions, a vote is held, and one person from each tribe is chosen to remain behind, not continuing with their group. Will this mean the end for these two castaways or will they get a second chance to make a first impression? Castaways use different tactics: one castaway wants to change the game with the strongest surviving, while another castaway wears her heart on her sleeve and tries an honest approach to the game, landing her in hot water with everyone. Empty stomachs, unprecedented inter-tribal alliances, shocking betrayals, and tricky challenges put the castaways brains and brawn to the test as they fight to win the $1 million grand prize. 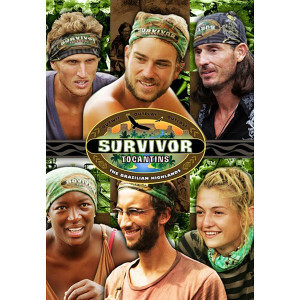 Watch it all unfold with Survivor: Tocantins on DVD! 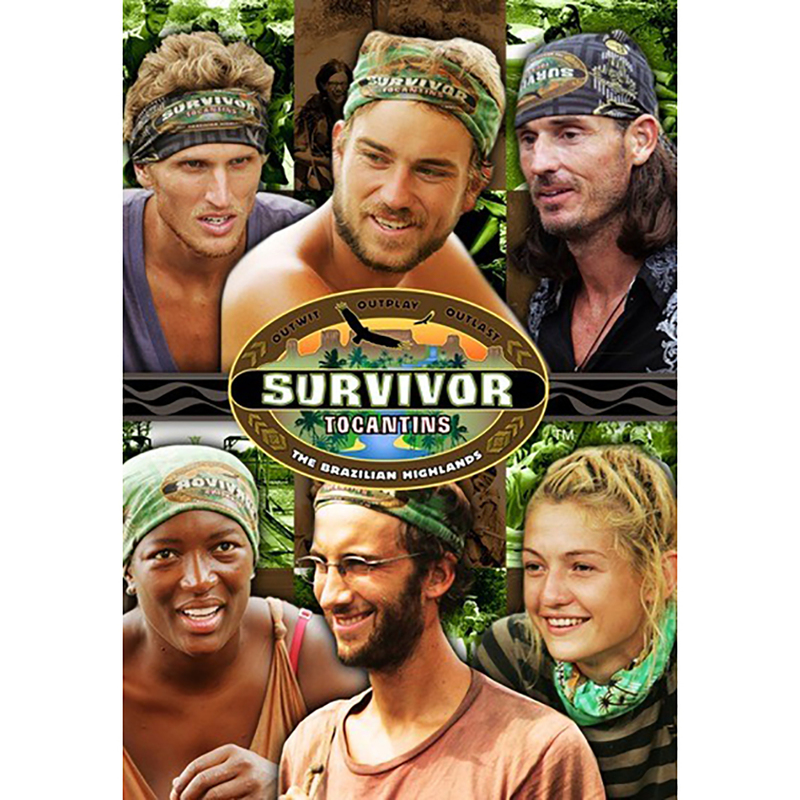 Survivor: Tocantins Special Features Meet the cast -- an introduction to Survivors eighteenth season contestants. Exit Interviews -- the extended exit interviews held immediately after contestants are voted out of the tribe. Early Show Interviews -- interview with this seasons winner. Sizzle Reel -- highlights of cast members interviews and special insights. TV Guide Network Special - Preview hosted by a previous Survivor winner. Ponderosa -- features the lives of contestants after they are eliminated and sequestered. 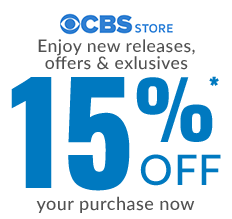 Secret Deleted Scenes -- on select episodes. Tribal Council Voting -- footage of select contestants. Additional Interviews -- with select contestants.